Dishonest Doctors | Doctors Defence Service – UK. Members of the public expect medical doctors to be honest in both their public and private life. The public still holds doctors in high regard, with the majority of doctors being given due respect for their contributions to the welfare of society. The General Medical Council (GMC) – the regulator of doctors – will take action against those doctors who do not conduct themselves with the utmost probity, integrity, and honesty. Doctors who admit or are found guilty of dishonest conduct will almost certainly be found to have committed professional misconduct. Those doctors whose fitness to practise is also found to be impaired [at an Medical Practitioners Tribunal Service (MPTS) professional conduct hearing], as a consequence of their failing to uphold professional standards – because of their dishonest conduct – might also face the prospect of a long period of suspension, or even erasure from the register. It is essential as a consequence of this risk that a doctor facing an allegation of dishonesty does not mislead the GMC, when making an oral or written response. A doctor must undertake appropriate remediation, show insight, and present good quality evidence, among other things, if they are to seek to reduce the risk of erasure. Dishonesty can take many forms. Some examples might include: a doctor lying in their CV to give it greater weight in a job application round, by exaggerating claims or making them up altogether; a doctor taking monies from a patient without authority, for personal use; a doctor engaging in business arrangements that have benefitted them, through subterfuge and misdirection; theft of drugs from a ward for personal use or to sell on to others; a doctor telling lies when being investigated, by a Trust or the GMC, concerning allegations of professional or workplace misconduct. A doctor who is convicted of a criminal offence (or has otherwise committed misconduct) will also face GMC / MPTS fitness to practise proceedings, and risk being suspended or struck off, as a consequence of their criminal conviction. There is additionally an obligation on doctors to promptly inform the GMC, and those doctors who fail to do so may also face a misconduct charge for such a failure. What is Dishonesty in Regulatory Law? See GMC v Krishnan  EWHC 2892 (Admin) which holds that Ivey judgment, below, is good law in professional conduct tribunals. The case did not provide any guidance as to how the case of Ivey case should be applied in GMC regulatory cases. **NEW JUDGMENT ON DISHONESTY Ivey (Appellant) v Genting Casinos (UK) Ltd t/a Crockfords (Respondent)  UKSC 67, on appeal from  EWCA Civ 1093. “…the second leg of the test propounded in Ghosh does not correctly represent the law and…directions based upon it ought no longer to be given. The test of dishonesty is as set out by Lord Nicholls in Royal Brunei Airlines Sdn Bhd v Tan and by Lord Hoffman in Barlow Clowse. In short, the legal test for dishonesty is “whether by ordinary standards the defendant’s mental state would be characterised as dishonest”, applying the above test. The second limb in Ghosh, below, should no longer be given. The more significant the acts of dishonesty the greater the risk of suspension or erasure will be. A twelve month suspension could cause considerable financial difficulties for a doctor but a suspension would be likely to be catastrophic. Doctors do fall into error, with genuine reasons or mitigation for their dishonest conduct, which, if explained carefully to the GMC, can lead to a good outcome for the doctor. Explaining the history of events in a clear and well-evidenced manner, showing insight, and taking steps in remediation, can all potentially help a doctor to achieve an outcome that falls short of erasure. See also the case law towards the end of this article, but bear in mind that many of them were pre-Ivey and so applied the law as it stood at the time. Dishonesty encompasses a very wide range of different facts and circumstances. Any instance of it is likely to impair a professional person’s fitness to practise: R (Hassan) v General Optical Council  EWHC 1887 per Leggatt J at paragraph . Dishonesty constitutes a breach of a fundamental tenet of the profession of medicine: PSA v GMC & Igwilo  EWHC 524. A finding of dishonesty lies at the top end in the spectrum of gravity of misconduct: Patel v GMC Privy Council Appeal No.48 of 2002. A finding of impairment does not necessarily follow upon a finding of dishonesty. If misconduct is established, the tribunal must consider as a separate and discrete exercise whether the practitioner’s fitness to practise has been impaired: PSA v GMC and Uppal  EWHC 1304 at paragraph . However, it will be an unusual case where dishonesty is not found to impair fitness to practise: PSA v Health and Care Professions Council & Ghaffar  EWHC 2723 per Carr J at paragraphs  and . The attitude of a practitioner to the allegations made and any admissions of responsibility for the misconduct will be taken into account as relevant factors in determining whether or not fitness to practise has been impaired: Nicholas-Pillai v GMC  EWHC 1048 per Mitting J at paragraph . The below guidance is due to be revised in in light of the decision in the above case, so it should be read with the Ivey judgment in mind. What is dishonesty in regulatory law? This question is not easy to answer because thecase law keeps changing. For many years the criminal law on dishonesty has been applied. Our guidance therefore starts with the criminal law definition and moves on through other case law. However, various High Court judges have held different views about how dishonesty should be assessed in regulatory proceedings. And until the Court of Appeal rules on the matter we will have to see how the regulators seek to approach matters. In the case of Kirschner v General Dental Council  EWHC 1377 (June 2015) the appeal judge held that there should be “one test for dishonesty in all civil proceedings, whatever their nature”. The suggested test to be adopted was that applied in the case of Barlow Clowes (full citation below), the test to be applied in all healthcare regulatory proceedings. More on this case below. Dr Ghosh appealed to the Court of Appeal (Criminal Division). He argued at the appeal that the presiding trial judge had not given a fair direction to the jury on the test to be applied by the jury when considering whether Dr Ghosh had been dishonest. Dr Ghosh lost the appeal. The Court of Appeal held that there had been no error of law or direction and, by way of clarification, laid down the following test, which has since become known as the “Ghosh Test”. The Ghosh Test requires two questions to be answered in the affirmative, before a person (a defendant in criminal proceedings, or a doctor in GMC / MPTS proceedings) can be found to have committed a dishonest act. The two questions are also known as the objective assessment and the subjective assessment of dishonesty. A further modification of this legal test may be necessary in some cases, as per Hussain v GMC (2014), below. It may be necessary to apply the standards of the profession, rather than people generally, when assessing whether a doctor has been dishonest. However, some lawyers doubt the validity of this approach and this is not always the approach adopted. Applying the balance of probabilities test to the evidence, a panel must find that the acts or omissions of the doctor were dishonest by the standards of reasonable and honest doctors AND that the doctor in fact realised that the acts and omissions were dishonest by the standards of reasonable and honest doctors. A doctor visits a DVD shop and browses for a while, then decides he wants a particular DVD but decides he is going to snaffle it, without paying for it. He quickly and discreetly hides the DVD in the inside of his jacket and then rapidly strolls out of the store, setting off the alarm. The store detectives arrest him. Applying the objective test, a person who intends to take something without paying for it would be committing a dishonest act by ordinary standards of reasonably honest people. Applying the subjective test, the doctor had intended to steal the DVD, and so had dishonest intent. The tribunal would look at the CCTV footage, to infer that the doctor had dishonest intent by observing the doctor’s behaviour, and observing that the doctor hid the DVD inside his jacket, before walking out immediately, without paying. Contrast that scenario with the scenario where a doctor goes into a DVD shop with the intention of buying a DVD at the shop till. He browses the shelves for a while and selects a DVD to purchase. Then his mobile phone rings and he answers. He then has a conversation with the person on the end of the phone and walks up and down this aisles with his DVD in one hand, while using his phone with the other. He then absent mindedly walks out of the shop without paying. The alarm is triggered and the store detectives apprehend him. Objectively, by ordinary standards of honesty, someone who takes a DVD without paying would be considered to be dishonest. However, when we apply the subjective test, it is clear that the doctor had every intention to pay, but he was distracted by his phone call and forgot about the DVD. He would therefore not have the subjective intent to steal, and so would not be guilty on the subjective level of a dishonest intent, and so he would not be guilty of a dishonest act. The tribunal or court determining the issues would have to hear the testimony of the doctor and look at the store video, noting that the doctor was distracted by a phone call and took no steps to conceal the DVD when he walked out of the store. In applying the test in by ordinary standards of reasonably honest people, we would substitute by ordinary standards of reasonably honest ‘people’ with the word ‘doctors’. A doctor who is working away from his home country has run out of medication to treat his long-term severe allergy to cats. He is unable to prescribe the drug for himself under the drug company protocol and the GMC’s Good Medical Practice, so the doctor asks a lay colleague to pretend to be a patient so that he can order the drugs for his own use. The colleague completes the documentation and the doctor then signs it off as the prescribing doctor. The drugs are then obtained in the colleague’s name for use by the doctor. By ordinary standards of honesty (by ordinary standards of reasonably honest doctors), such conduct would be dishonest from an objective perspective. If we were to apply the approach in Kirschner v GDC, (see above citation (June 2015)) we would be moving away from the test set out in the above case law and adopt the test in Barlow Clowes International Ltd v Eurotrust International Ltd  UKPC 37, so not using the Ghosh test. However, the appeal judge in Kirschner applied the Ghosh/Twinsectra approach to the case he was deciding, holding that it was for a higher court (or Parliament) to determine the correct test. Hussain (referred to above) therefore remains good law, as does the case of David (also referred to above). In Enemuwe v Nursing And Midwifery Council  EWHC 2081 (Admin) the court held that a tribunal must not rely on decisions of employment level disciplinary bodies and the like when determining factual matters (at paras 37-38 and 79) (July 2015). Also, in the case of Lavis v Nursing and Midwifery Council  EWHC 4083 (Admin) – it was opined that the regulators of healthcare professionals must look at other explanations for the conduct complained of, before arriving at the conclusion that a practitioner has been dishonest, as alternative explanations may be extant, such as innocent or negligent mistake per Uddin (December 2014). Any tribunal (for example the GMC/MPTS, or criminal courts) tasked with determining whether a doctor has been dishonest must form its view from all of the evidence. In the case of the removal from the store of the the DVD, the tribunal would look at the oral testimony of witnesses including the store detectives and the doctor, documentary evidence, CCTV footage. In the case of the prescribing of drugs illustration, the tribunal would look at the reasons the doctor had prescribed for another. If the colleague were to confess that the prescribed drugs were not for her, an inference could be drawn that the doctor had prescribed them in a manner that was dishonest. The totality of the evidence would be considered. At any hearing, the credibility of the doctor may be doubted and the version of events the doctor advances might be rejected. A doctor is entitled to call evidence of previous good character at the facts stage: Donkin v Law Society  EWHC 414 (Admin), and Wisson v HCPC (April 2013). In the criminal courts an allegation of dishonesty is tested against the criminal standard of proof. The magistrates or jury must be satisfied beyond reasonable doubt (also known as satisfied so that you are sure). Contrast that with civil cases, such as the GMC / MPTS tribunals, where the evidence is tested to the civil standard: the balance of probabilities (or which version of events is more probable). In both criminal cases and GMC cases, it is for the person or authority bringing the allegation to prove its case against the defendant or doctor. The civil standard, being a lower threshold, means that there is a greater chance of being found guilty of a dishonest act in GMC / MPTS proceedings, than in the criminal courts. And by reason of your misconduct your fitness to practise is impaired. Below, we shall examine the types of dishonesty cases that go before the GMC / MPTS that have been appealed to the High Court, along with the sanctions that are imposed on doctors who are found guilty of dishonesty. At the Rule 7 stage (of the GMC investigation), the GMC Case Examiners approach allegations of dishonesty with reference to the GMC’s polices. For more details of the GMC’s policy on the disposal of cases at the Rule 7 stage, visit our GMC Investigations page. It is also important to take note of the GMC’s Indicative Sanctions Guidance, which aims to ensure consistency of disposal between panels at the FTP stage of proceedings. The guidance describes the different types and degrees of dishonesty that may lead to particular sanctions. Visit our GMC Publications page for more details. Remember, it is dishonesty at the time of the act or omission that is the test, not a retrospective test applying hindsight. In the case of Dr Atkinson v General Medical Council (GMC)  EWHC 3636 (Admin) the doctor had been found guilty of some 22 incidents (on 12 occasions) of dishonesty over a period of approximately five years of practise as a doctor. She appealed the GMC Fitness to Practise (FTP) panel’s decision (to direct that her name be erased from the medical register), arguing that the decision to erase was disproportionate. The High Court upheld the decision of the GMC FTP panel, finding no error of approach (November 2009). In the case of Dr Moneim v General Medical Council (GMC)  EWHC 327 (Admin) the doctor (a GP) had been found guilty of altering a number of computerised patient records, after complaints had been brought to his attention by GP partners. He appealed the findings of fact and a suspension of twelve months. While the appeal court found that the GMC FTP panel had made some minor errors in its determinations, the majority of findings were sound, and the twelve month suspension from practice was proportionate (February 2011). In Dr Karwal v General Medical Council (GMC)  EWHC 826 (Admin) the doctor had been found guilty of three acts of dishonesty and was suspended for 12 months. At the end of that period of suspension, there was a Review Hearing. The GMC FTP Review panel remained concerned about the doctor’s failure to accept the original FTP panel’s findings, or show insight into the wrongfullness of her conduct. The FTP Review panel further suspended the doctor. The appeal court determined that the various GMC panels had come to appropriate decisions, and that the sanction of consecutive suspensions was proportionate, in the circumstances of the case. By the time of the appeal the doctor had been suspended, cumulatively, for some 2 years and 9 months (April 2011). In Dr Uddin v General Medical Council (GMC)  EWHC 2669 (Admin) the appeal court overturned 5 findings of dishonesty by a fitness to practise panel. The court suggested that panels must take care when approaching the issue of dishonesty on the balance of probabilities and that the panel had shown a lack of understanding of the approach that should have been taken (July 2012). In Arfan Dad v A Decision of the General Dental Council  ScotCS CSIH_75 the Scottish court of appeal held that a dentist who had denied that he had dishonestly withheld from his regulator information about past convictions would not be successful in his appeal against erasure. (August 2010) The case has ramifications for doctors who do the same. In Irvine v The General Medical Council  EWHC 2038 (Admin) an appeal court upheld an erasure order where a doctor had practised medicine for five years, while knowing that he did not have professional indemnity insurance. ii) whether, on the balance of probabilities, the Appellant realised that what he was doing was, by those standards, dishonest. In Peckitt v General Dental Council  EWHC 1803 (Admin) – the appeal court dismissed Professor Peckitt’s appeal, upholding disciplinary findings of dishonest conduct. Doctors should take care when responding to allegations to ensure that their reply is not ambiguous, and has been properly thought through. Doctors are advised to take legal advice before responding to GMC allegations and, ideally, should be legally represented at any hearings, in order to protect their interests. Doctors who have been dishonest may fear the consequences of admitting to the GMC what they have done. However, it should be noted that those doctors who cover up their past dishonesty are more likely to be erased from the register in comparison to those who came clean at the first opportunity. The GMC's/MPTS's Indicative Sanctions Guidance makes it clear that doctors who lie over time are more likely to face erasure (be 'struck off') from the register. By way of example, paragraph 122 of the MPTS's Sanctions Guidance (July 2016) holds that:- 'Dishonesty, if persistent and or covered up, is likely to result in erasure'. Admitting dishonesty obviously needs to be done with care an precision, and doctors are advised to take legal advise before making admissions to GMC charges. In Conclusion:- Regrettably, there are a number of doctors in practice in UK who are dishonest, duplicitous, or disingenuous in much that they do, both in clinical practice and in their business transactions or personal dealings with others. Such doctors are out to make personal gains at considerable cost to their patients and colleagues. Thankfully the real rogues are few in number but the GMC has an imperative based on public policy considerations to identify them, discipline them, and throw them out of the profession. In one example, a physician who was also an academic was found to have built much of his career on fraudulent studies that he wrote about in academic journals to further his career. The GMC brought almost 70 allegations of misconduct against him, many of them alleging dishonesty, which demonstrated that his whole career was based on deceit. He was struck off. Such an extreme case is rare indeed but such doctors are out their and the GMC will expend a lot of time and resources to justly deal with them. The GMC will also bring charges against doctors who have been dishonest in more modest ways. Even relatively 'low level' dishonesty, in comparison to the preceding illustration, can lead to GMC regulatory proceedings. Doctors who are dishonest risk being suspended, pending investigation, and a minimum of suspension at a fitness to practise hearing, if their cases reach that stage. There is a provision to issue a doctor with a warning for dishonest conduct in certain circumstances, but such occasions have been relatively rare. Though that may change in light of the case of PSA v GMC v Uppal (2015) EWHC 1304, in which it was held that a finding of impairment is not inevitable in cases of dishonesty. 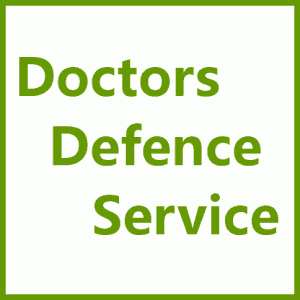 Doctors Defence Service provides assistance to doctors who face allegations of dishonesty in GMC legal proceedings.